Do you miss oatmeal? 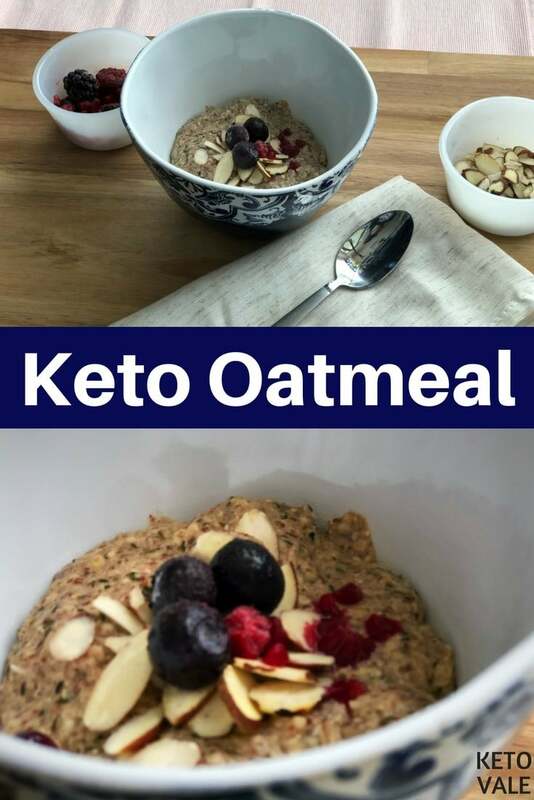 This no-oats oatmeal (also known as Noatmeal or N’oats) is a low carb and keto-friendly oatmeal substitute that gives you a comforting taste of oatmeal while keeping you in ketosis. 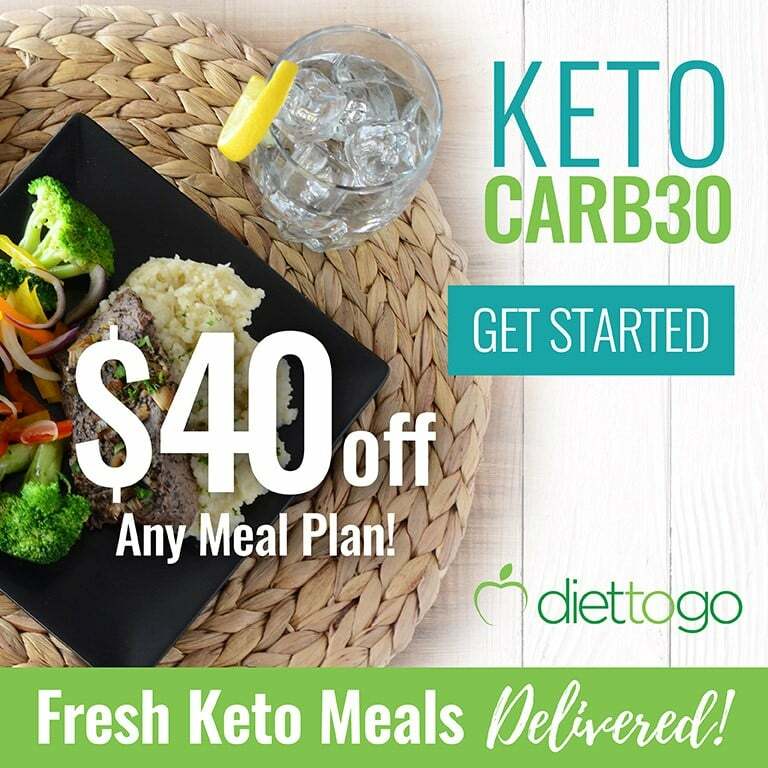 Quick and easy this will allow you to start your day with a keto meal that is packed with nutrients, fibers and calories to keep you on track on your macros. 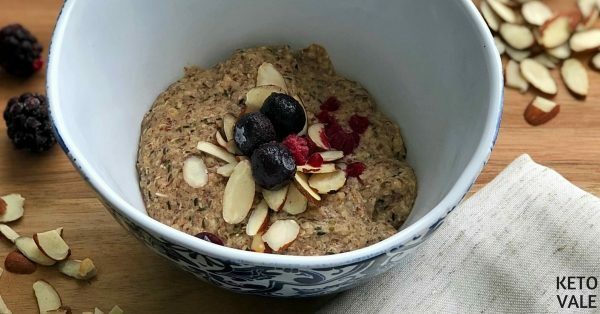 I love this recipe since it really delivers the warm and comforting feeling of a nice oatmeal bowl. The ingredients are very easy to find. All you need are hemp hearts, flax meal, chia meal, coconut flakes , cinnamon, almond milk and a scoop of MCT oil powder. 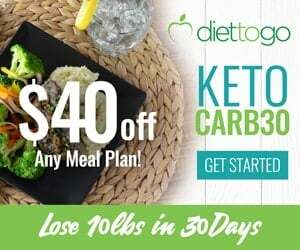 I prefer MCT Powder over MCT Oil as it mixes well with the dry ingredients and it’s very easy on our digestive system than oil. 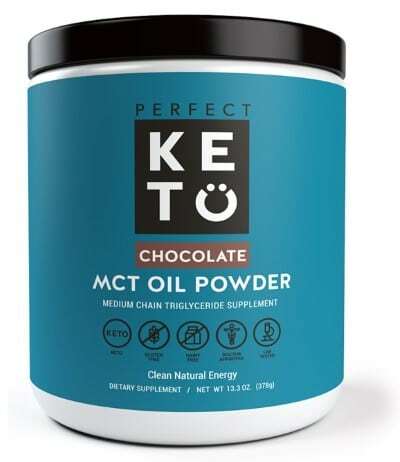 The one I used is Perfect Keto’s MCT Powder because it’s a clean product with finest quality MCTs that doesn’t contain any fake ingredients or bad fillers. They have three options: unflavored, chocolate and vanilla. If you’re a chocolate lover, the chocolate MCT Powder is a perfect choice for this recipe. If you don’t have MCT Powder, other liquid MCT Oils are fine for this recipe too. Check our reviews for recommended brands. 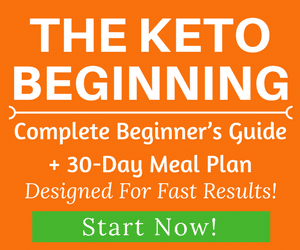 It boosts your energy for exercise and throughout the day as it’s a clean & healthy fat and a constant source of energy. You can read more about benefits of MCT here. 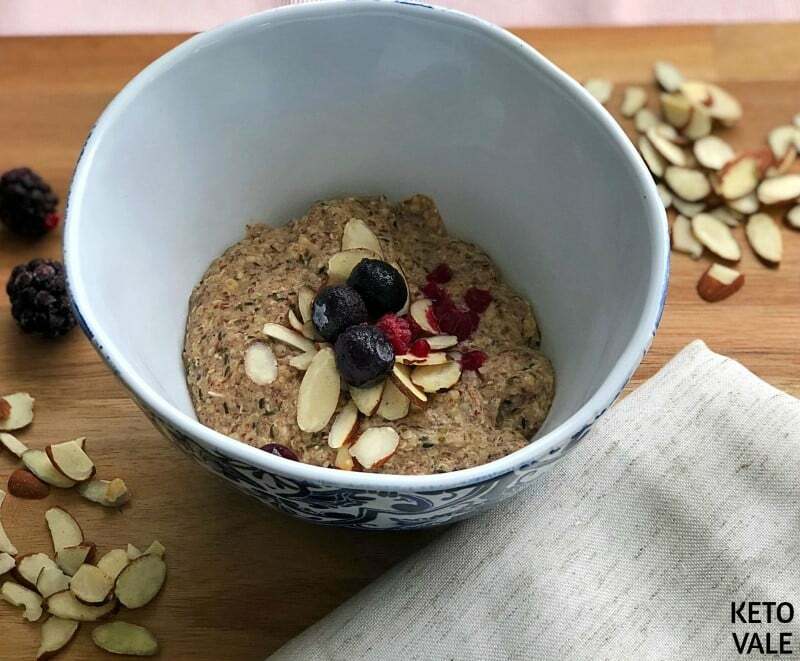 Hemp hearts or hemp seeds have a mild nutty flavor. 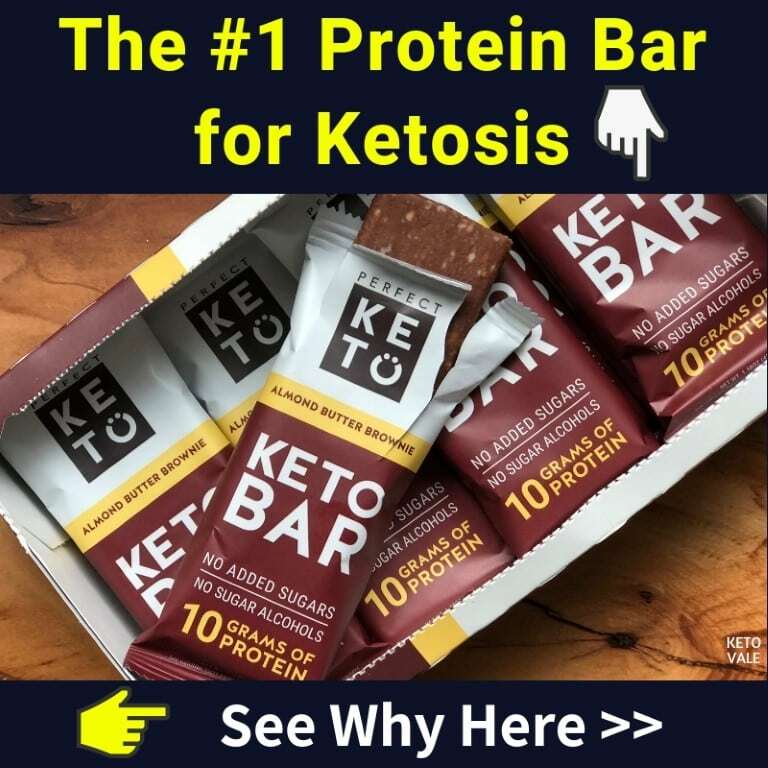 They are a great source of essential fatty acids and protein. They are very beneficial for digestion, hair, skin, nail and joint. You can play with this recipe using light coconut milk, add vanilla extract for extra flavor and even add cocoa powder for an indulging morning. 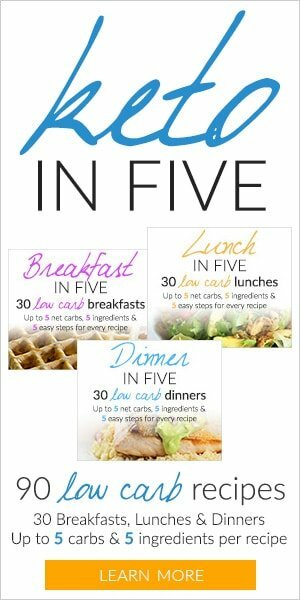 The recipe is not sweet so if preferred you can add any sweetener of your choice. This can be stored overnight and warmed in the microwave or you can put on a to go container for a snack latter. 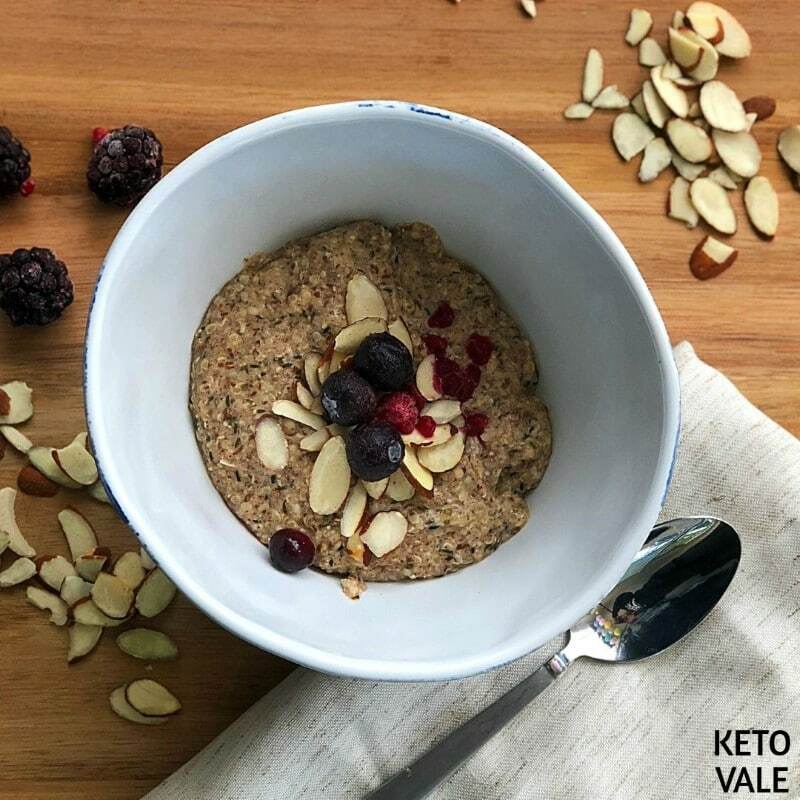 This keto oatmeal recipe will give you the energy and nutrition you need to conquer the day. You can also add a few slices of almond and berries to make it like a breakfast cereal. Combine all ingredients in a small saucepan and leave to simmer, stirring occasionally to prevent sticking. Once the mixture thickens, take it off of the heat. Serve immediately in a bowl with frozen berries and nuts. 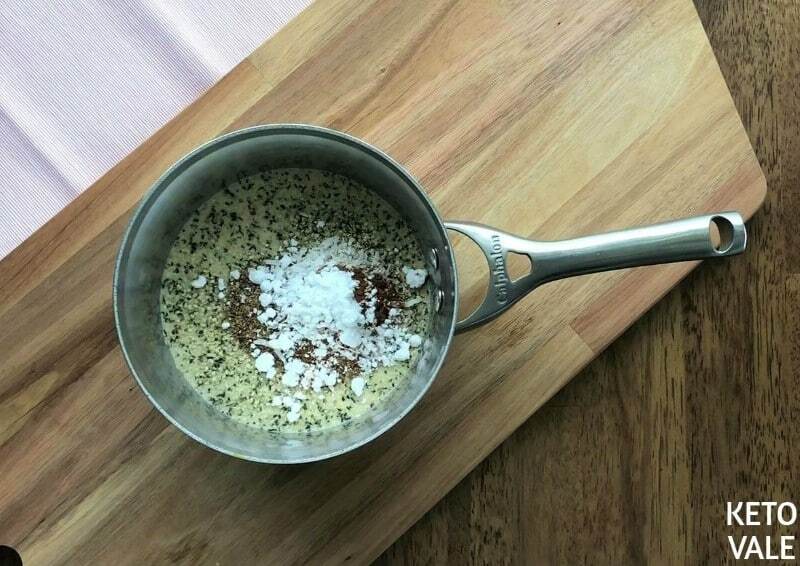 Stir all the ingredients in a small saucepan until they combine. Leave it to simmer, stirring occasionally. Remove from the heat when the mixture thickens. Transfer to a bowl and top with frozen berries and nuts. Serve right away.